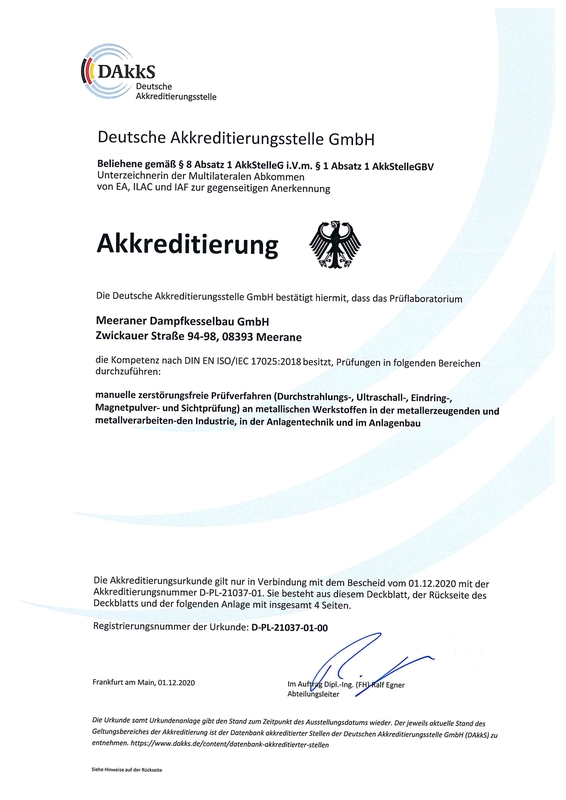 Meeraner Dampfkesselbau | NDT test laboratory: DAkkS accreditation successfully completed. 10.12.2018 NDT test laboratory: DAkkS accreditation successfully completed. Since 07.11.2018 it is official. The Meeraner have an accredited test laboratory (according to DIN EN ISO/IEC 17025:2005) with approval for manual non-destructive test methods (radiographic, ultrasonic, penetrant, magnetic powder and visual inspection) of metallic materials in the metal-producing and metal-working industries and in plant engineering. 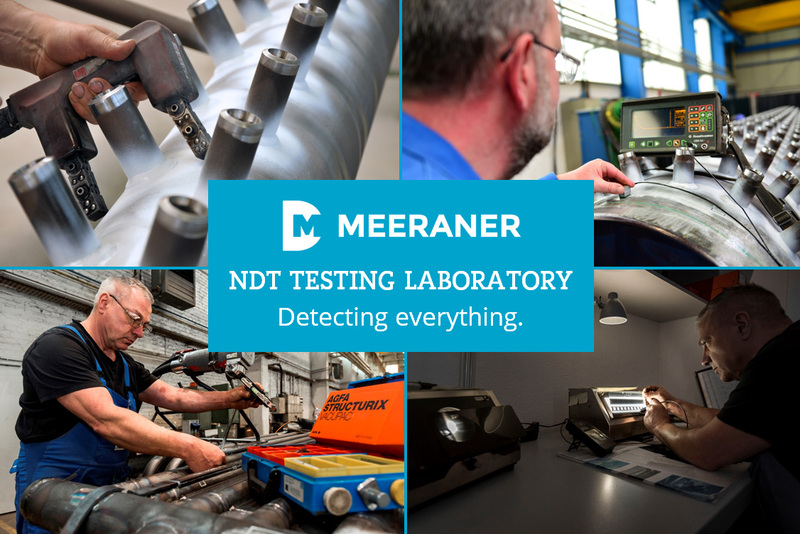 Thus, we can now offer our customers the best possible standard of nondestructive testing – as always in the usual Meeraner quality.